From the 29th floor of the unfinished Tianjiang Licheng apartment complex, you can see the city of Wanzhou, Chongqing municipality, following the contours of the swollen Yangtze: first north, then a sharp break eastward downriver toward the Three Gorges Dam, about 300 kilometers away. It is a path that echoes the Huangpu river in Shanghai as it flows north then east, past the Bund and around Lujiazui at the western tip of Pudong. The Wanzhou government is even planning a new development on the opposite bank. The view is impressive, and the building’s future residents have paid handsomely for it. Apartments in Tianjiang Licheng are the city’s most expensive, at RMB3,000 (US$440) per square meter – cheap by big-city standards, but a significant step up for most Wanzhou residents. Price was not a problem for the development’s sales team, however. Even though construction will not finish until the end of this year, only a handful of units remain unsold. That is good news for local businesses. The future residents of Tianjiang Licheng, almost all locals, will need to decorate and furnish their new apartments – and that’s just the beginning. These residents have money to spend. "The people who buy here are financially accomplished," said Peng Yuan, vice manager of the sales team. Most bought the apartments to live in by themselves, not to invest, and 30-40% paid in cash. By most estimations, Wanzhou might just qualify as a third-tier city, although it’s a close call. The population of less than 2 million is spread out over a predominantly rural county of nearly 3,500 square kilometers. With their growing spending power, however, Wanzhou’s residents are becoming potent consumers. They are not alone. Across the country, consumption is being driven by small cities, and companies are rushing to meet it. Li Ning, the domestic sportswear champion, is one such company. "The mainstay of our strategy remains second- and third-tier cities, where we see the most potential," the company told CHINA ECONOMIC REVIEW in a written response to questions. "We are still adhering to our target of having 10,000 stores by 2013." As Li Ning opens more stores in smaller cities, it will count many familiar labels from China and abroad among its neighbors. The streets of Wanzhou are crowded with brands like Nike, Adidas and Kappa, while retailers such as Gome sell electronics and appliances from Haier, Samsung and Philips. But success for these retailers and brands requires more than simply setting up shop. Overall rapid consumption growth hides weaknesses in many small cities, and even in areas with few economic problems, consumers don’t always behave like their counterparts in first and second-tier cities. Brands that don’t adapt to local variations in spending habits and preferences will struggle. It’s easy to understand the attraction small cities pose to consumer firms. As China continues to urbanize, these cities represent a relatively untapped consumer base. 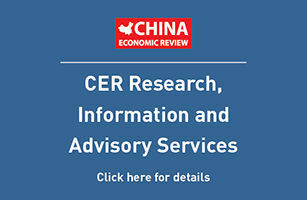 Research firm Global Demographics expects China’s urban population to increase from 46.8% of the total population in 2009 to 63.3% of the population, or 827.9 million people, in 2029 – conservative when considered against the UN Population Fund’s estimate of 910 million urban dwellers in China by 2030. Large cities will continue to grow, but most long-term growth will be in smaller cities: Global Demographics forecasts that the number of Chinese cities with populations of 1-2 million will grow from 55 today to 106 by 2029. The economies of less developed regions continue to rise rapidly as economic growth in large cities slows. While Shanghai’s economy expanded just 3.3% in the first half of 2009, GDP in Chongqing municipality grew 10.2%. Sichuan province, the main target of Beijing’s "Go West" development policy, grew 11.2% in the first six months of the year. These emerging regions have contributed to solid national-level figures. Retail sales have recovered after slowing at the end of 2008, rising 15.4% year-on-year in August, up from 15.2% in July. Per capita urban household expenditure, another closely watched indicator, was up 8.9% year-on-year in the second quarter. While encouraging, the national numbers include various data tangential to the spending habits of regular consumers and can therefore be misleading. (See: Data troubles: Retail statistics don’t tell the whole truth.) They also gloss over regional variations in spending; analysis by Merrill Lynch showed that while retail sales rose 19.2% in provinces in western China in the first half of 2009, sales in eastern provinces rose 16.2%. For companies hoping to expand to lower-tier cities, analyzing consumer data – even regional data – is complicated by a lack of clear definitions of what constitutes a lower-tier city. "The original idea was that first-tier cities were really just Shanghai, Beijing, Guangzhou, Shenzhen, and then second tier cities were supposed to be provincial capitals or cities like that. And people sort of played with that," said Ben Cavender, an analyst with China Market Research (CMR) in Shanghai. "It’s pretty tough to actually categorize what is a fourth-tier city or a fifth-tier city." The fog of data goes further: There aren’t even clear distinctions between rural and urban areas, according to Kunal Sinha, executive director, Discovery, at Ogilvy & Mather Greater China, who headed the firm’s qualitative survey of consumers in lower-tier cities. "Everything is by administrative unit: county, township, prefecture level and so on," he said. "And that usually includes two cities of maybe 200,000 and everything in between." A particularly difficult problem lies in understanding the individual economic situations of small cities. In Wanzhou, salespeople in sectors as diverse as property, household furnishings, automobiles and clothing said that a slowing global economy had little or no impact on their business, although unemployment remains a problem. About 1,200 km southeast, in the county-level city of Fuding, Fujian province, Chen Dan, the sales manager of the Lijing Yangguang residential property development, said the global downturn had caused his business to "suffer greatly." Nevertheless, the trends remain positive, and there is plenty of room for further growth. Private domestic consumption in China, which stood at US$890 billion in 2007, is forecast to hit US$2.52 trillion by 2020, according to consultancy McKinsey & Company. That is still well below private consumption levels in the West, with the US reaching US$8.27 trillion in 2007. Furthermore, by Global Demographics’ calculations, 52% of affluent urban households – defined as those with annual incomes in excess US$8,780 per year – exist in cities with populations below 2 million, where their purchasing power is also relatively stronger. Capturing the wallets of consumers in these cities is an alluring goal for brands, local and foreign. Some are doing better at reaching that goal than others. "Business has been relatively stable," said the manager of the Adidas store on Baiyan Lu in central Wanzhou, who declined to give her name. But, she explained, stable did not mean good. While the store had been open for more than a year, sales were weak, with customers lured away by cheaper local sportswear brands. The store was mostly empty. The situation was similar around the corner at Gome. On this Saturday afternoon, a crowd of locals and migrant laborers was gathered around a widescreen TV at the store’s entrance, watching a DVD of a military parade. Inside, however, bored-looking employees far outnumbered customers. Displays for mobile phones attracted more than others, but a phone market across the street was considerably more lively. This kind of scene is common in China’s developing consumer centers, and parallels the earlier experiences of first-tier cities. "When Best Buy opened its first Shanghai store in Xujiahui, it’s smack in the middle of the whole electronics district, and you could find whatever was available at Best Buy at a 10% cheaper price [down the street]… It became the place to window shop" said Ogilvy’s Sinha. "You find a similar phenomenon happening in the smaller towns, except that the Best Buy is now a Gome." The search for lower prices is a central factor driving consumer behavior in lower-tier cities. Part of it is simple economics; most such consumers simply have less cash to spend. But even among those with money, another – and for brands, more intractable – issue keeps them from spending on preferred labels: Consumers display weak ties to brands. In Fuding, a housewife who gave her surname as Wang offered a typical answer when asked if she paid close attention to brands when shopping. While she prefers certain products with recognizable brands – Biotherm and Clarins makeup – brands do not determine her shopping choices. A teenager buying RMB400 (US$58) Converse shoes at Wanzhou’s Parkson department store said much the same thing; while he liked the Converse brand, he did not feel a strong connection to it. "If it looks good, that’s enough," he said. Brand loyalties have become even weaker as choice has widened. Sinha said that in an emerging market, changing brand preferences can be an expression of consumer power. "They’re happy to switch from one to another if they feel they are not getting enough value or if they feel a brand falls short in some way." A recent report by McKinsey & Company identifies a "continuous shift from brand to value" among Chinese consumers. The firm’s surveys found that approximately 40% of consumers look for good value – not necessarily the lowest price – when shopping. The economic environment has encouraged that shift. Consumers are not spending less, but analysts say they are spending more carefully – on fewer, but higher quality and more durable items. The emphasis on quality has come as families increasingly consider their wellbeing – and particularly the wellbeing of their children – when making purchases. "They’re definitely not just looking at the cheapest products any more," said CMR’s Cavender. "They’re looking at the product they view as being safest." Retailers have moved to meet this need. At Wanzhou’s Kunlun Furniture Plaza, the manager of one store explained his marketing and sales strategy. "Our focus is natural products, health and environmental friendliness," he said, noting that parents saw his wood furniture as a healthy choice for their children. Across town at the new Wal-Mart, large shopping carts built around toy cars make the point clearly: For family purchases, children are in the driver’s seat. It is the sort of attention to local buying habits displayed at Wal-Mart – shopping in small cities is frequently a family affair – that will help some companies and brands to succeed where others falter. Hong Kong-listed Belle International, a Shenzhen-based retailer of footwear and sportswear, is one company that has found a flexible strategy to be most effective in expanding to new urban markets. The company has a wide portfolio of brands. Some, such as footwear labels Belle, Teenmix and Tata, are its own; others, including Reebok, Converse, Levi’s and Kappa, it has licensed for distribution. This allows the firm to adopt a decentralized strategy that accounts for the specific strengths of individual markets. It has worked well: Belle posted a profit of US$185.29 million in the first half of 2009, up 11% year-on-year. By mid-September, the company’s shares had risen more than 120% since the start of the year. "Our company is split into 10 areas, and choosing which cities to expand to and which brand’s stores to open is decided by area teams," explained a source at Belle International familiar with the company’s strategy. "The teams go to the cities to investigate, look at the price levels, and then consider whether a brand’s level suits the city." Belle is recording its fastest growth in small cities, but remains focused on flexibility. The firm’s newly acquired Senda shoe brand – pairs of which sell for RMB300 (US$43) and up – is a likely target for lower-tier cities. Another recent acquisition, Clarks, is a higher-level brand that Belle will aim at first-tier markets. Li Ning has fewer brands to play with. While its portfolio includes six brands in footwear, sportswear, and sports equipment and accessories, more than 92% of the company’s sales in the first half of 2009 came from the Li Ning brand alone. Aside from a low-priced sub-brand, Z-DO, which targets hypermarket retail areas, the firm doesn’t tailor its products specifically for lower-tier consumers. However, second and third-tier cities have long been Li Ning’s strongest source of sales growth. In first-tier cities, it has struggled to win over customers from Nike and Adidas, but as the ubiquity of the Li Ning logo in Wanzhou illustrates, it remains a force in smaller cities. Hong Kong-based clothing retailer Giordano, firmly positioned as a mid-market brand, comes into lower-tier cities from the other direction. In the past, it has targeted relatively affluent cities, but now it plans to expand into northern and western regions where it is currently under-represented. On the ground, Giordano, like Li Ning, doesn’t develop products specifically for lower-tier cities. Instead, it adjusts product mixes for different markets by highlighting more affordable styles. Unlike Li Ning, Giordano’s business has struggled this year. Profits in mainland China fell to US$4.25 million in the first half of 2009, from US$22.83 million in the same period of 2008, and the retailer was forced to close 14 mainland stores in the first quarter of the year. However, Giordano’s chairman said this summer that a recovery in the market after July was improving the company’s fortunes. While a focus on lower-tier markets alone won’t likely lead Giordano to huge profits, Ogilvy’s Sinha said that companies hoping to succeed in developing regions would do well to approach them and their customers more carefully. The best strategy is to treat each region as a completely different set of consumers and find out what makes them tick. Sinha highlights consumers’ retail experience as one way for brands to find new markets. When many brands and retailers concentrate on establishing presences in malls and large stand-alone stores, they are ignoring established retail structures common in small cities. "Most retail designers can only think supermarket, exclusive outlet, large format stores," he said. "They’re not thinking countertops in a mom-and-pop store, or a 50-square-meter shop in a small town. In spite of the expansion of supermarkets, that is the form that still prevails. And the locals do it brilliantly." In that sense, the greatest opportunities for growth in lower-tier markets may lie with consumer brands that do their homework at ground level rather than apply models wholesale from first-tier cities. Those that adapt stand to profit greatly from a group of consumers that – regional differences aside – are upbeat about the future. "Consumers in a lot of these regions are some of the most optimistic consumers out there," said CMR’s Cavender. Businesses in lower-tier cities are also sanguine. Chen, the property sales manager in Fuding, points to government incentives for investment that he expects to attract more people to the area. Despite last year’s disappointing sales performance, his company will begin a new development in the next six months. The furniture dealer in Wanzhou doesn’t expect business to grow dramatically, but is not worried about a lack of sales. Xiang Zheng, a sales consultant at Wanzhou’s main Ford dealership, says sales volumes are up – although he admits profits aren’t as high as he would like. Optimism is justified, and for both domestic and foreign consumer brands, the pull of these cities can be irresistible. Global Demographics estimates that companies need distribution in only 44 cities to reach 50% of all affluent households in China. The danger is that firms may underestimate what it takes to establish a growing presence in these regions. At a bicycle shop in the center of Wanzhou, CHINA ECONOMIC REVIEW asked why RMB300 Forevers and Flying Pigeons, so common in Beijing and Shanghai, were absent from the streets. "It’s too steep. People get tired," said the owner. "That one there is our best-selling bike," he added, pointing to a Giant mountain bike on sale for RMB2,000. The consumer markets of lower-tier cities may be less developed than those of their top-tier counterparts, but they are no less complex – and success for brands is no more assured.